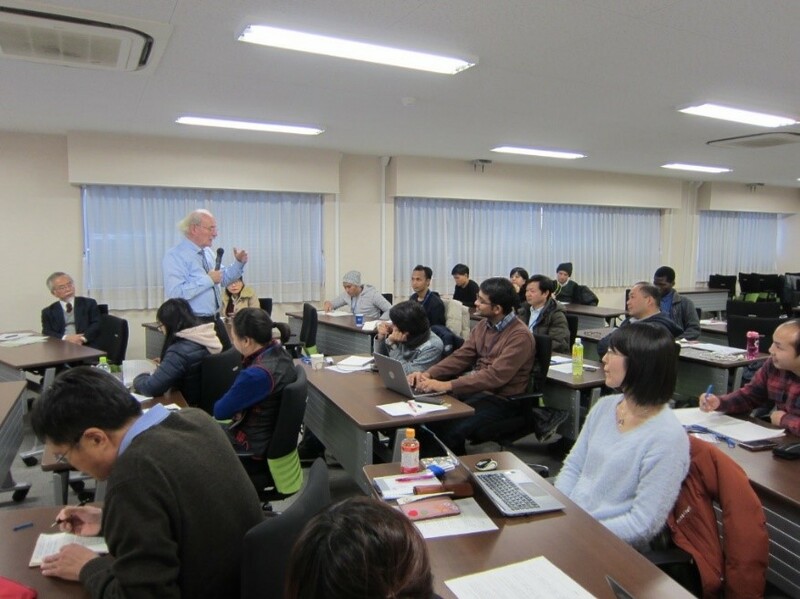 On December 13th, 2017 we invited Jacques Lochard, a Vice-Chair of the International Commission on Radiological Protection (ICRP), to give a lecture for the 4th Phoenix Program Leadership Seminar. The title of the lecture was “Suetsugi : Story of a Renaissance”. In total seventeen PLEP students, three Taoyaka students, as well as six faculty members and several program staff participated. Since the early nineties professor Lochard has been actively involved in the rehabilitation of the living conditions of affected populations following nuclear accidents. First, he has worked extensively in Belarus helping to manage the long-term consequences of the Chernobyl accident, and then in Japan in relation to the aftermath of the Fukushima accident. The most important component of this seminar was a video we watched that showed residents of the Suetsugi -area, Hisanohama-machi of Iwaki City giving testimonies of their personal experience. More specifically residents explained the procedure that was used to ensure a greater sense of security through the measuring (measurement of) the air dose and the level of radioactive contamination of foods after the Fukushima NPP accident. Everyone, including those attendees who have not yet visited the area could learn and better understand the situation in the affected area. The lecture concluded with an active discussion. Copyright(c) Phoenix program,Hiroshima University. All rights rserved.